VEKA provides high quality extruded PVC profiles. When it comes to a committment to quality, few companies can match the level of experience employed at VEKA. Even fewer companies have the history to prove it. 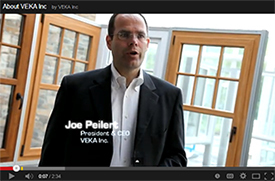 VEKA has been extruding in North America for over 30 years and globally for over 45 years. While product innovation and technological advancement keep VEKA at the top of the extrusion industry, their focus on customer needs has remained a priority. VEKA provides many services to customers that many competitors do not offer. VEKA Essentials developments provide many of these services as highlighted in their video series.